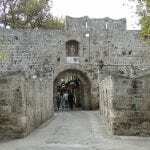 Welcome to this section of the site which is assigned to discussing The Medieval City in Rhodes. Surrounded by its fortified walls lies a city deep in rich history, and culture and it has been listed as a heritage site by UNESCO! When we say the words ‘Medieval City’ it would be natural to think of a small old town, abandoned and left in ruin. 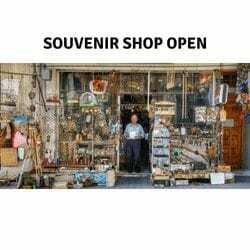 Maybe you would expect a small wooden stall located here and there to buy an old artifact or souvenir? Well you could not be more wrong. The Medieval City in Rhodes is one of the most amazing places and it is full of life. In fact, a lot of people actually live inside the city to this day, some of them even occupying apartments and dwellings that housed The Knights Of Saint John during their stay here all them centuries ago. Alongside this, there are businesses open so people can come and enjoy the Old City to the maximum. There are shops, restaurants, places to stop and they all line the main streets. All these occupy the ancient structures that make up the Medieval City and it really is quite a thrill to be part of it all. So if you are expecting a quiet place, you are in for a surprise! is why I have left you a map towards the bottom of this page. There are a couple of hundred streets (approximately) inside The Medieval City alone, and it can be very easy to lose yourself. Do not be afraid. You will love it. In fact, you will have a better time losing yourself in the ancient streets than you will looking at the highlights. Thousands of people visit this location every year, and I would say most of them pass through only seeing maybe 10% of what is there. Some of the old back streets really do take you back in time, and to miss them would be insane (in my opinion). I think it is great to have an Old Medieval City which is full of life, I like it, but the offbeat tracks (as always) allows you see the city as it once was, a truly amazing experience. The Town was actually built as two sections, and these sections are still in place today. There is the upper town and the lower town. These are also known as the Northern section and the Southern section. The Northern part of the city was named the ‘Collachium’ and the Southern part ‘Chora’ during the presence of the Knights and they occupied the Northern ‘Collachium’. The Southern part was also referred to as ‘Bourgo’ and is the largest of the two sections. Just off ‘Sokratous’ there is an adjacent street named ‘Lachitos’ and in the olden times, this was the location where communication was allowed between the Northern and the Southern sections. In the Collachium you will find structures such as The Palace Of The Grand Masters and The Knights Castle. Also in this part you will find many amazing structures including The Knights Order’s apartments, The Street Of The Knights and different churches. In the south (or Chora) you will find it a lot more quiet than the North. There is a lot to see however so do not miss out on this. The Southern part of the city was home to the Greeks and many other different nationalities that resided and had work there centuries ago. your way onto ‘Sokratous Street’. Entering the city through the Marine Gate, you will be greeted by the beautiful Ipokratous Fountain. 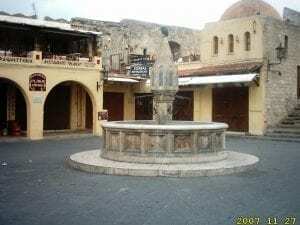 From there you will see the main street that stretches up all the way to Sulieman’s Mosque and the clock tower – Socrates Street! As in the old days too, this is where you will find the hustle and bustle of the old city. 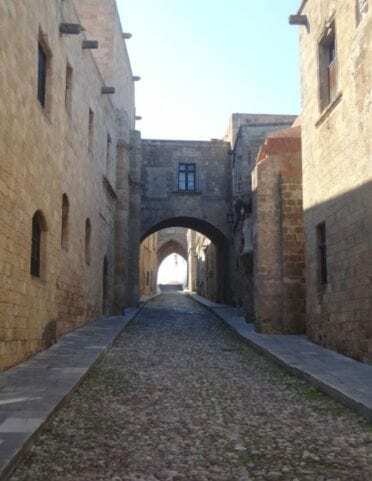 People out looking for the best deals, businesses owners trying to haggle with you, a friendly atmosphere and the beauty of Medieval Rhodes right before your eyes. As you can see, I have put a map here for you to be able to use and take a look around. Click the “View Larger Map” button to get a better look, and you can also zoom in and out if you prefer. There is a lot to see and do in the Old Town and there are some more options below for you to go to the different sections of the city. I know for sure that The Medieval City strikes a positive note with most people that visit. Have you been here to see it for yourself? Maybe you are planning a visit and would like more information. Either way I would love to hear your thoughts. Leave me a comment below and I will get right back to you. 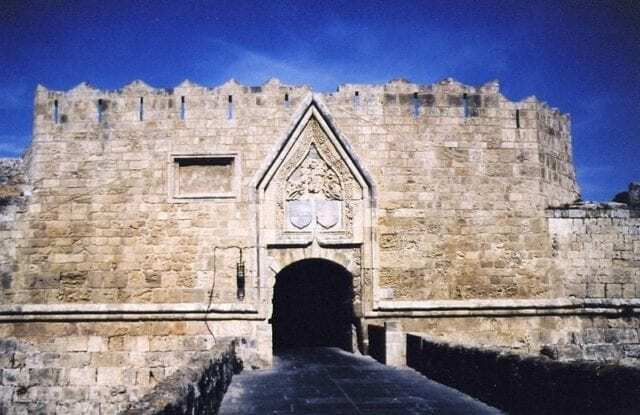 Learn More About The Medieval City In Rhodes. Click From Below To Continue. Hi Chris, this is a great place that I had never heard of and the video gives a wonderful overview of the ins and outs of a nice walkabout. Thanks for doing this and I hope to see many more of these. I have always wanted to visit Greece so this has made me put a mental note of a particular place to visit when I get the chance. Thanks Janine. Great to know you enjoyed the information here. Sometimes a nice video can give you an overall view, more than words can, so I like to include them when I can. I hope you manage to get here yourself one day, keep it in mind! Wow! 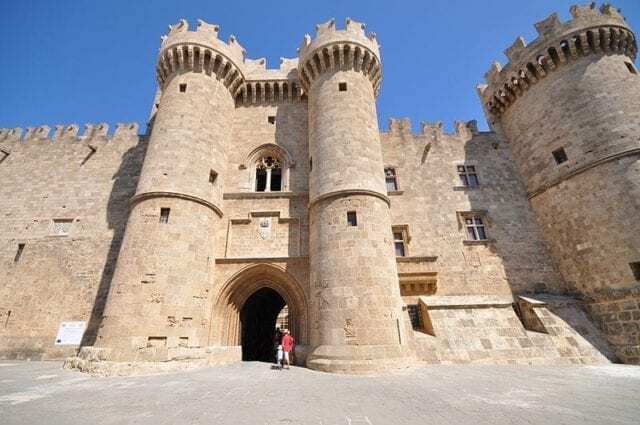 I have been to Rhodes many years ago but I never went to the Medieval City, it looks absolutely stunning and I had no idea it is such an imposing and historically significant place. I would really love to go visit and get lost in the little streets and walkways! It is great to know you have been here and it is such a shame you did not manage to see The Medieval City during your visit. It is very significant when it comes to the island and its history. This old city played a very important role in the protection of the island and its people in years past, as did other structures on the island too! I hope you manage another visit sometimes and catch the places you missed out on last time! Thanks again , nice to hear from you! Wow, what a beautiful city! You have made me want to visit Rhodes yet again. I would love to have the chance to immerse myself in this culture, what a feeling it would truly be. I can see myself strolling down these ancient streets and just picturing what it was like years ago. You are so lucky to live in such a beautiful place for sure. Hey there Leahrae, once again it is great to have you back here 🙂 Nice to see you. You know, the word ‘immerse’ that you used is a great way to explain things here. When you walk around The Medieval City and inside the huge walls, immersion is exactly what it is. It is all around you. The history, the culture, the architecture and more than anything – the feeling of going back in time. I am indeed very lucky to live here (although I believe sometimes you have to make your own luck), but I am grateful and happy to be here. I know The Streets Of The Medieval City very well, so if you ever get here – I will show you around! 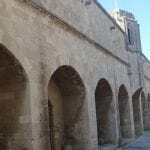 Well written article detailing the city of Rhodes. I did not know that the Knights Of Saint John lived there, I am definitely reading more into that. I really liked reading about The Palace Of The Grand Masters too and about where to go to find the ‘hustle and bustle’. I am glad that I came across this page, I am bookmarking it and coming back to read more. Hi there Alexander, thank you for reading. I just wanted to clear something up with you, and just some information for you to know. 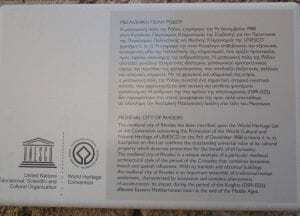 The City Of Rhodes is not the place where you will find The Grand Masters Palace. This is in The Medieval City. The Old Town is also referred to as the Medieval City, and here you will find The Street Of The Knights, The Knights Castle and The Grand Masters Palace. The New Town is just a little north of The Medieval City. It is a more modern setting but still with a lot of history intact. The New Town stands where The Ancient City once stood. Believe me, you will love both areas. 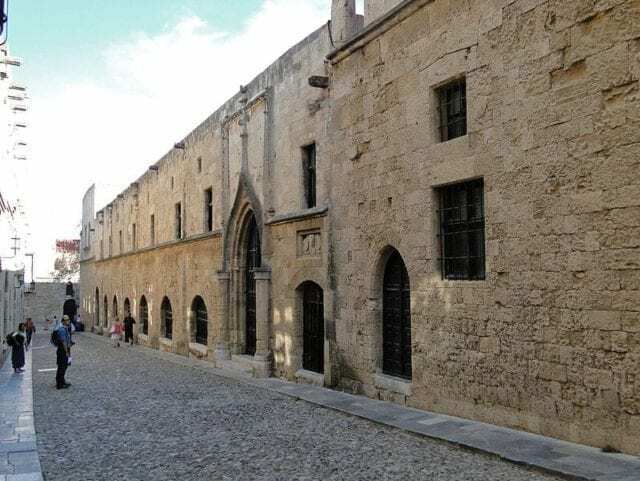 The Medieval City In Rhodes looks very lovely. I have been wanting to go to there for a while! It would be new gained experience for me and one I think I would really enjoy. I have loved history since I was high school. However, my concern here is that I am handicapped, but I can walk with my crutch. Is there an easy way for walking around The Medieval City? Hey there James, if you have been a lover of history since your high school days then I think you would really love Rhodes. 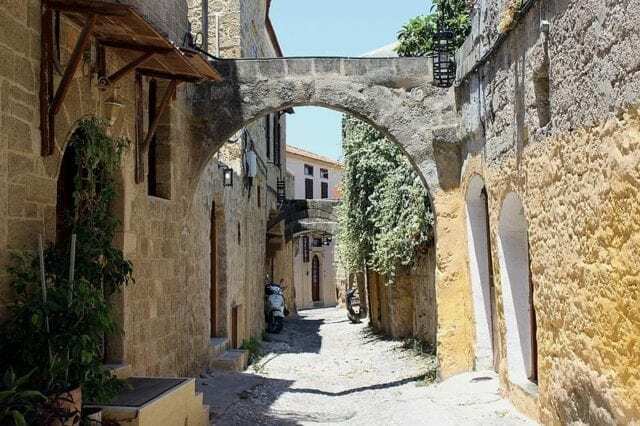 Although we are talking about The Medieval City in this particular post, I think the whole island of Rhodes would appeal to you. There are many sites to see that would simply blow your mind if you love history, culture and architecture. As for people getting around who suffer with maneuverability issues, it can be challenging. The roads are mainly made up of stones, so it can make you a little uncomfortable on your feet. This is not to say you cannot do it though. I would recommend taking it slowly and step by step, and if you can get someone to accompany you during your stay to help you get around I think you would benefit from this. Hope this helps James, but if you need anything further I am here. Feel free to let me know! How sad that so many miss seeing the older part of the City – this would be excellent information for anyone visiting. What are the different areas of the Medieval City? Are there any, or it is just one huge area? Hey there, thanks for reading and for your questions. The Medieval City is actually visited by millions. I would not say many people miss it, but for sure they do not see it all. There are hot spots within the area, such as Ippokratous Square, the shopping areas, the different gates to the old city, The Grand Masters Palace and so forth. But there are so many hidden treasures off the normal path that can be overlooked. It is actually a big area, and to be honest, once you lose yourself off the tourist path, it is easy to find yourself struggling to find your way back. This to me is the best way to see the old city, as indeed it is all over the island. Hey Chris, reading your blog and looking at the pictures makes me feel like setting my own feet down and wandering around too! You bring us the beauty of Rhodes. So many things to learn from your blog. Appreciate your effort and searching all these historical facts and for showing us the beautiful side of the island. 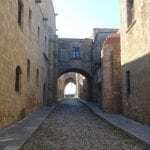 There is a lot to see here on The Island Of Rhodes, and there is a lot in the way of history too. I have taken a lot of time to dig out some of the more important events that have affected the islands past. I appreciate some people want to relax too, so I am trying to make the information here appealing to all. Rhodes is the largest of the Dodecanese islands. My friend, Tony, was on holiday there last year. He is a bit of an archaeologist. There are Roman remain there, I am told. The occupation by the Knights of St. John during the Crusades has links to Jerusalem and Malta, too. My friend tells me that Rhodes was captured by the Ottomans. Later, Italy owned the island. This needs exploring. 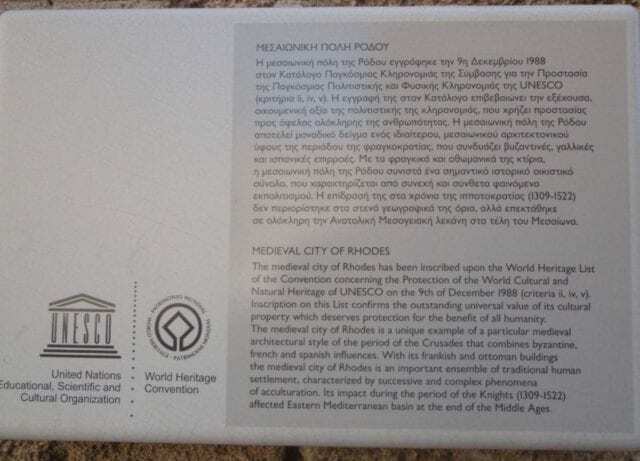 I think Rhodes will be a good choice for an educational vacation. Medieval cities are like mazes! 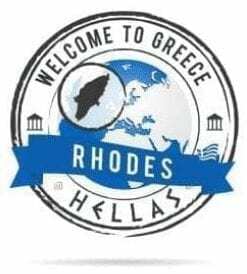 Hi Janice, nice to hear from you, and it is also great to know you have a friend who has visited Rhodes and been able to give you a taste of what it has to offer. You are quite right in what you say. The island was occupied by The Knights Of Saint John, by the Ottoman Empire and by The Italian forces in years past. For this reason there is tons of history here as well as the sites available to soak it all in. I have covered The Knights Of Saint John In Rhodes here if you want to take a look. Also you will find more information on the Ottoman Rule and Italian Occupations here. For sure on the island you will learn a lot in the way of history if that is your wish, and exploring all of the areas the island has to offer is a really enjoyable experience. Thank you for the information about this beautiful location. I believe it’s a great vacation spot to try and I hope to visit there one day with my family. What type of cuisine is offered at the restaurants in The Medieval City and what activities (if any) are offered to families with small children? Hey Maria, great questions and I am happy to answer them for you. When it comes to visiting The Medieval City, you have a lot of options when it comes to the food. You can find Fast Food, you can find Italian, hey – there is even a McDonalds nearby – although this would be way down on my list. To be honest you are spoiled for choice when it comes to restaurants and bars. There are so many it is hard to mention them all. What I recommend though, is go Greek when it comes to dining out. So many people come here and leave again without experiencing the Greek Cuisine, and this really is a crime. There is more information on the Traditional Food In Greece here if you want to take a look. As for the activities for children, there is a lot to do. A lot of places accommodate children and there are a lot of areas you can go with them to stop them becoming bored. Thanks Maria, and if you need more feel free to let me know. I’ve not been to Rhodes but it’s definitely a place I would like to visit one day. My partner lived in Greece (not in Rhodes though), for many years and he always tells me how beautiful it is over there. When I mentioned Rhodes, he is certainly up for it, as it’s one of the places in Greece he has not visited yet. I will be checking your site for more tips. 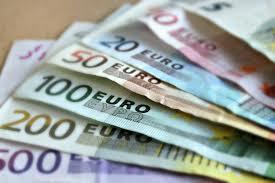 Hi Zuzana and thanks for passing by my information here. Where in Greece did your partner live? It is not important but I am just curious 🙂 Does he also speak the language? For sure is worth a visit if you have both never been here before, and if you make any solid plans to come just let me know! My website here will constantly be updated with new information regularly but you are welcome to get in touch with me too if you need any questions answering! Hey Chris, I have never been to Greece although I am a travel passionate. I like to explore as much of a city aside of the touristic areas. I find it a cliche to go where everybody is. So the city of Rhodes is for sure on my travel list and I hope I will get there soon. Hi Nicu and thanks for reading. I must admit I am one to go looking for life off the regular tourist path too. While these hot spots are nice, I feel so much is missed in the other areas when you ‘follow the pack’ so to speak! Let me know when and if you are able to put plans into place to visit Rhodes, and i will help you out as much as I can! One of my great unfulfilled ambitions in life is to travel. While many of the places that I’d like to see are ones that my family originates from (Wales, Ireland, the Isle of Man), Greece is on that list too. I have worked with a number of people from Greek descent and every time they go on vacation and come back with gorgeous photos, my desire to go there grows. I’ve always loved old architecture, but I have to admit that when I think of medieval cities, I tend to think of England more than anything else. Looking at the images you’ve included though, it makes me realize I need to look at other areas as well. I’m keeping my fingers crossed to win the lottery so that I can get out there and see the world. Hi Craig and thanks for sharing your thoughts. I am also originally from the UK too and I will say there are a lot of beautiful places there to visit. Personally I am a lover of the Lake District and surrounding areas. There are also a lot of historic sites like you say, many castles and ancient ruins to be explored for sure. I have never been to Ireland, but Wales I have frequented often in the past. Chester for example is a wonderful place to see. I just came across your web page. Wow, as soon as it opened it I was able to view the beauty of your wonderful little island. I enjoyed your story as well on how you found the place and was able to stay. The wife and I are world travelers and are always looking for a place to visit. Perhaps the Island of Rhodes is in our future! Thanks for reading Clyde. it is nice to meet you. Hey I am only joking, but of course I am happy you liked the information on my site along with my story of how I came to be here. It is a wonderful island and one i think everybody should be able to see (if only once). Hope you get here soon Clyde, and if you ever need anything for a planned visit let me know! Nice review. Greece and its islands are on my bucket list of visits, already for too long. Maybe this summer I’ll be able to go there and I’ll expect to stay 2-3 nights in Rhodes. 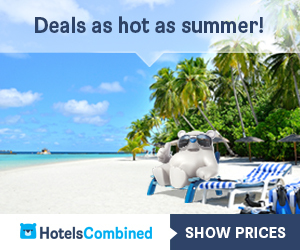 Do you have any hotel recommendations? If it’s possible inside the medieval city or in a near beach area. Hi Carlos thanks for your questions. A lot of people seem to have a bucket list when it comes to visiting Rhodes. It is great to hear that maybe you will be able to get here this summer. As for the hotels there is a place inside the Medieval City. Actually there are a few, and most of them you will find are more in the way of small old style apartments. They are not like the big 5 star hotels you would normally expect when booking with the big travel companies. Use this link here for more information on the Cava D’oro Hotel and some reviews. I hope they help 🙂 if you need anything more let me know, I will happily make a phone call for you if you like. Your page is very beautiful, well laid out and well illustrated. I have never heard of this place before. 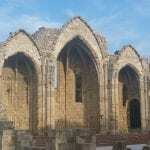 I had some good insights on the Island of Rhodes here on your page. It would be truly lovely to visit this beautiful part of Greece one day! It looks like a stunning place. Hello Jacob and thanks for your visit. 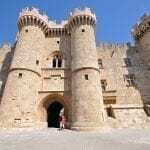 Although the island of Rhodes is a very well known place due to its history and tourism, I promise you that you are not alone when you say you have not heard of it before. 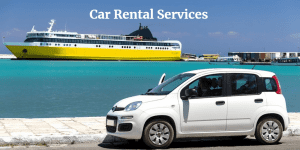 It is tucked away deep in the Mediterranean Sea and to be honest it can be sometimes overshadowed by the famous Athens and also by the island of Crete. With this in mind though, the island is frequented by millions of people every year and it is a popular Greece hot spot when it comes to holiday makers. Thanks Jacob, and if you want any more information do not hesitate to ask!